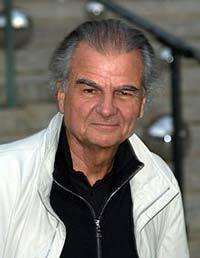 Patrick Demarchelier is a famous French fashion photographer. He has shot many fashion covers since the late 1970s, for several major fashion magazines, including the Paris, British, and American editions of Vogue. Demarchelier has also photographed covers for Glamour, Elle, Rolling Stone, Mademoiselle, Life, and Newsweek. Demarchelier was born in 1943 near Paris, France. He had a modest upbringing and spent most of his childhood living with his four brothers and mother in Le Havre. His stepfather bought him a camera for his 17th birthday and he soon learned film developing and how to retouch negatives. He then started photographing friends and weddings. In 1963, Demarchelier moved to Paris and started doing various kinds of darkroom work. From there, he became a photographer’s assistant at Cinémonde. Shortly after that, he started working at Paris Planning, which was a modeling agency. There he made test shots for many models. In 1964, Demarchelier became an assistant to photographer Hans Feurer at Nova magazine. There, he quickly learned how to become an outstanding fashion photographer. By 1972, his fashion work was being noticed by Condé Nast’s editorial director, Alexander Liberman. The director brought him to New York City to work for Glamour magazine which was considered a training ground before working for Vogue fashion magazine. In New York, Demarchelier learned more about fashion photography. He worked with many fashion photographers including Terry King, Henri Cartier-Bresson, and Jacque Guilbert. His work soon became noticed by editors at Marie Claire, Elle, and 20 Ans magazines. In 1989, he started shooting covers for Vogue. During this time, Princess Diana had him to take photos of her and her sons. This made him the first official non-British photographer for a member of the Royal Family. A few years later, Demarchelier started working for Harper’s Bazaar and Vogue more consistently. This resulted in a twelve-year collaboration. He has also photographed many international advertising campaigns for Louis Vuitton, Dior, TAG Heuer, Celine, Chanel, Lacoste, Yves Saint Laurent, Ralph Lauren, Revlon, Elizabeth Arden, Lancôme and Calvin Klein. Since 1992, Demarchelier has worked for Harper’s Bazaar and he is their premier photographer. He also received a contract in 2005 for the Pirelli Calendar. Through the years, he has launched the careers of numerous make-up artists such as Jason Marks, Laura Mercier, and Pat McGrath. Patrick Demarchelier has also worked with a large number of celebrities over the years, such as Farrah Fawcett, Madonna, and Kate Hudson. Demarchelier was the main photographer for Brooke Shields’ On Your Own book which was a guide on beauty and lifestyle for young women. In 2007, the French Minister of Culture, Christine Albanel, awarded Demarchelier the honor of Officer in l’ordre des Arts et des Lettres. In October of 2011, he published Dior Couture Patrick Demarchelier, a coffee-table book that was a photographic collection of Dior Couture pieces, starting from Dior’s very first collection in 1947 to John Galliano’s collection. Patrick Demarchelier is well-known by his colleagues those he works with for his kindness and patience. These qualities make him a favorite with top models and celebrities alike. He still lives in New York City with his wife, Mia. They have three sons, Gustaf, Arthur, and Victor.